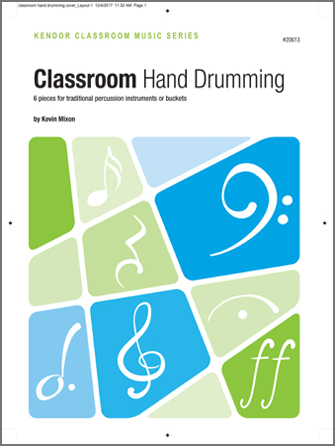 This book includes 6 percussion trios that are perfect for classroom music classes and instrumental groups. Each piece is engaging, and employ styles that are familiar and motivating to students. Performance notes for each piece explain style characteristics and playing techniques. Preparatory exercises are also included. All pages are reproducible for groups of any size. Titles include Allemande; Rain Drums; Darbuka And Frame Drum; Dadra Tala; West African Drums; and Martillo y Tumbao. These pieces may be performed by traditional hand drums or buckets.